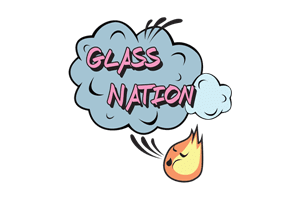 Glass Nation has the best sports pipes online by a long shot! Firstly, If you are looking for a glass pipe that looks like a sports object: we have it. Furthermore, whether you are looking for a pipe that looks golfball, baseball bat, bowling pin, or any other kind of sports pipe we got you covered. Glass Nation is serious about its commitment to sports fans and lovers of glass pipes. There are so many wonderful sports out there ergo an almost limitless opportunity for new pipe designs. Golfballs, bowling balls, tennis balls, baseballs, footballs, soccer balls: no matter what kind of balls you love we got you. Our favorite kind of sports pipes are sports glass pipes because of the high quality material. Sports glass pipes can really do a number in terms of quality and ascetic. Stop in our amazing online head shop and we can blow your mind with smoking sports balls.